I love the Wat Dhammasujitto Buddhist Meditation Center and speak with Ajahn Sombat on a weekly, if not more frequent basis. Plus I attend a ceremony there at least once a year–if not more. BUT I had to laugh when someone asked me about the temple opening ceremonies scheduled to take place next Saturday here in Fawnskin…and so thought it would be entertaining to share the story. And here at the Fawnskin Flyer, you know it is more about entertainment–amusing myself and you–if I can. It caught me off guard and made me laugh since he was referring to party scheduled at the Wat Dhammasujitto Buddhist Meditation Center/Temple on Brookside this week. However, he wasn’t clear about just what gathering he was referring to. It was confusing since a few things will be happening around town. As he tried to remember the name of it, out came a funny reference instead. I bet I won’t soon forget it soon! Since my laughter was disconcerting to him, he challenged me to walk by and really look at the sign on the place and then decide if he was right or not. 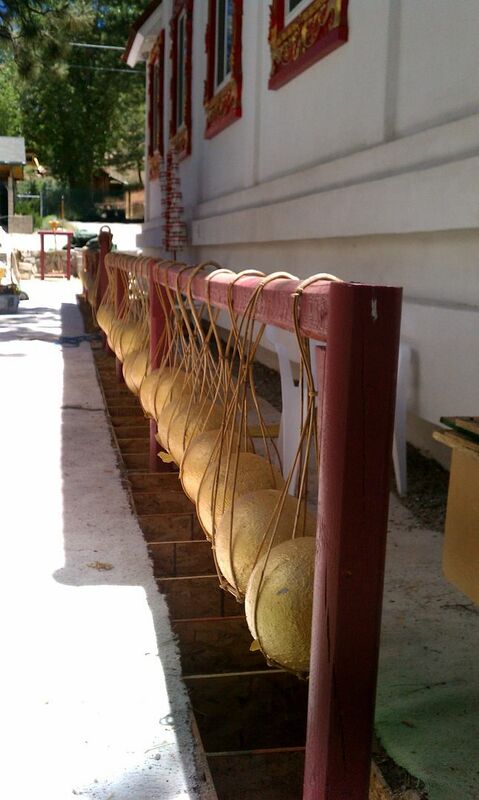 Now, over the past several weeks you might have seen the mightly monks working hard in preparation for this big event. They have been busy, busy, busy. People are coming from Thailand and from all over California for this consecration ceremony. 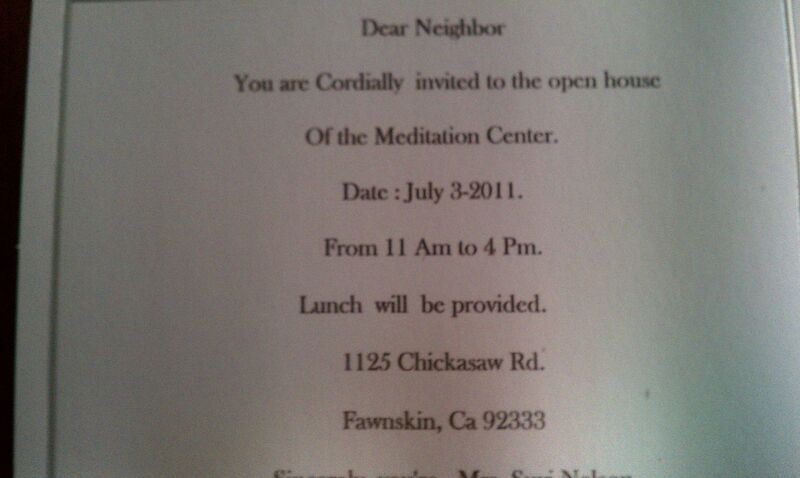 Here is your invitation that Ajahn Sombat gave me to pass around to Fawnskin Folks. I regularly attend their special events since I get invited by Ajahn Sombat and many of the other members of the community. Plus, it is a wonderful way to spend the day and so I have written about this place many, many times. If you peruse the archives, you can see my pictures of this place as it has been built from the ground up since I’ve lived here. 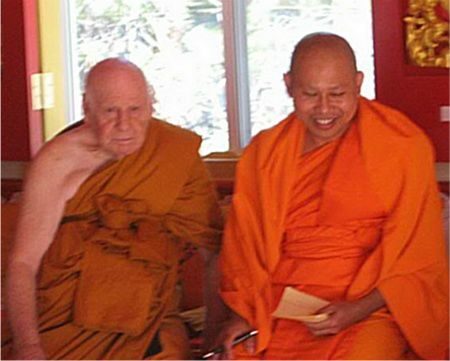 In 2009, I was honored when Ajahn asked if I would participate in one of the ceremonies. This was interesting since I don’t speak or understand a word of Thai but my pal Suvi was by my side instructing me on the protocol. Over time I’ve learned to discern just how big of a deal something is by how the people respond to it. So, this past participation was a big deal. Another time I realized something significant happened when Ajhan Rungpanya Tangthanapanya (visiting from Thailand) gifted me with a small item from his country of origin. People gasped over that one. GG thinks any spiritual blessings are good to have and so gladly accepts them without question. You know that song, Count Your Blessings? Well, GG doesn’t count ’em, she collects ’em! Now you might remember my writing about the temple being the real reason Fawnskin was saved by the wildfires and you might already be clued up on those important news items about the temple. But in case you aren’t, I am gonna remind you. This brings to mind that little irritant of reference the Big Bear Grizzly made about nothing happening over here. The truth is that Fawnskin makes news and when we do it is BIG. Some people make fun of Fawnskin Folks–because we are really fancy pants over here. For instance, two publications, Moment by Moment Mindfulness: A Pictorial Guide for Meditators and Insight Meditation: Practical Steps to Ultimate Truth have their roots here in Fawnskin. Plus, the Wat Dhammasujitto is the home to the only American monk–Fawnskin’s own Henry Nelson. He might also have the notarity for being one of the oldest monks in the USA–at 90 years of age! Anyway, I love having monks as neighbors and am slowly learning about their practices and culture as the years pass. I get more information each time I attend. Now you might be wondering if this ceremony is going to be a bit different from the opening celebration. This ceremony involves the consecration of the temple and the burial of sacred spheres around the building which you can also read about here. Normally there are only up to about nine spheres but the Fawnskin temple has something like 108 or so. People from all over sponsor this spiritual center and support it financially. Many of those people are represented by the spheres and other items within the center. During the ceremony the bonds holding the spheres will be cut so they fall into the specially constructed chambers around the temple. They will be buried in the ground. This symbolizes cutting the ties to the past and is accompanied by prayer. All ceremonies consist of several different phases where the monks are gifted with items they need. 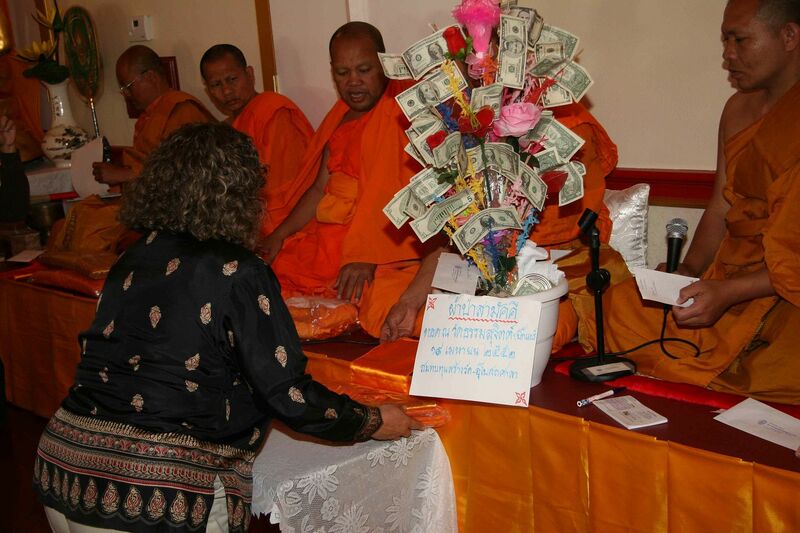 Monks and temples are completely supported by the community and so these gifts include food, robes, and finances. Prior to the feast, monks usually accept symbolic scoops of rice from the people. However, in this ceremony the people will give financial donations. Most events begin in the morning, but since the monks do not eat after midday, there is a lunch break before resuming the all day ceremony. People bring homemade Thai food (which is one of my personal favorites) and eat together once the monks are served. What also makes this event different is that a very notable monk is coming to the USA to conduct the consecration ceremony. I don’t have the whole scoop yet but am sure I will learn more while I am attending. In the meantime, an additional 30-50 monks are expected to participate in the consecration. Once complete, the temple will be an ubosot and a place where monks can be ordained. Ajahn Sombat isn’t waiting long and has a few monks are scheduled to be ordained right away in a private ordination that will be closed to the public. However, if things go as I expect, a lot of people will be remain here waiting for the new monks to emerge. In the past, serving as a monk was a rite of passage and so service can be for a short time or for an entire lifetime. After the consecration, Ajahn Sombat will also hold regular meditation practice for those who would like to attend. If you live in Fawnskin, this is a once in a lifetime opportunity–GG will be there and I hope to see you too! 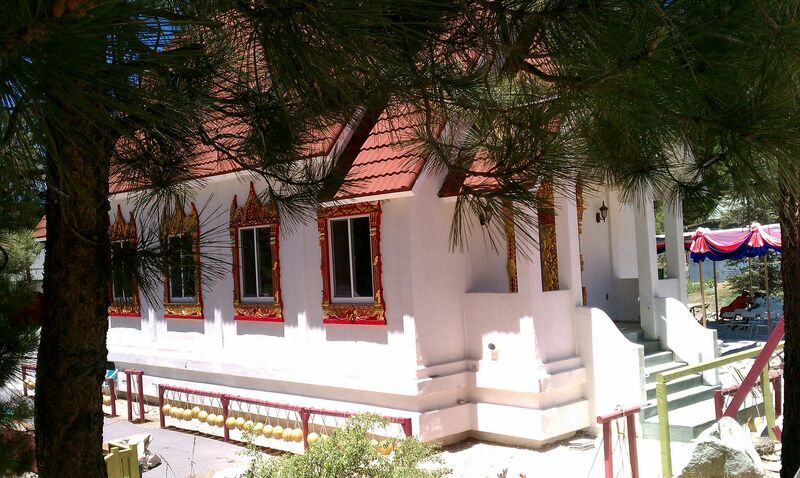 If you wish to reach the temple, the number is (909) 866-5853 or you can try Ajahn Sombat at (626) 825-6077 after the holiday weekend. 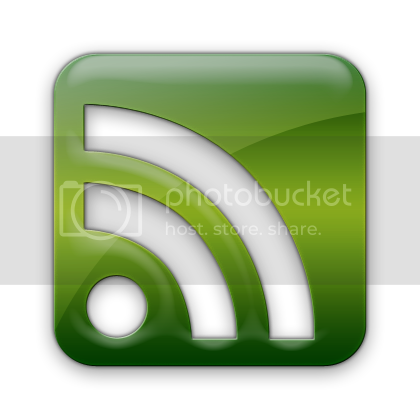 This entry was posted on Wednesday, June 29th, 2011 and is filed under Events, Mountain Lake Resort, Small Town Living. It’s not true that Henry Nelson, my old friend, is the ONLY American monk in the USA. There are many. But most likely he is probably the oldest at this time. Since I just asked about this, perhaps I should have specified, he is the only American monk in the Vipassana Dhura Society.